Emmalee Bullard and her new baby are on their own. Or so she thinks, until Leona Lane, the older seamstress who sat by her side at the local shirt factory where both women worked as collar makers, insists Emmalee come and live with her. But just as Emmalee prepares to escape her hardscrabble life in Red Chert Holler, Leona dies tragically. Grief-stricken, Emmalee decides she’ll make Leona’s burying dress. 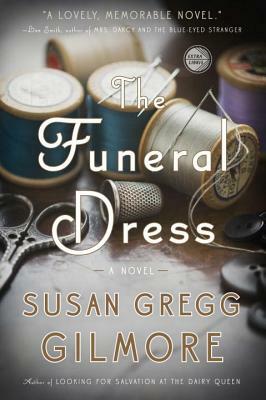 There are plenty of people who don't think the unmarried Emmalee should design a dress for a Christian woman--or care for a child on her own--but with every stitch, Emmalee struggles to do what is right for her daughter and to honor Leona the best way she can, finding unlikely support among an indomitable group of seamstresses and the town’s funeral director. In a moving tale exploring Southern spirit and camaraderie among working women, a young mother will compel a town to become a community.